This giveaway ended at 10AM on Monday, September 08. Offering a wide variety of designs online (and at select retailers),The Spunky Stork's delightful and charming organic baby rompers and toddler tees, carries a variety of every-changing designs; silk-screen prints made to order. Using only eco-friendly organic pieces creates a gift that is super soft and environmentally-conscious that makes both moms and babies happy! 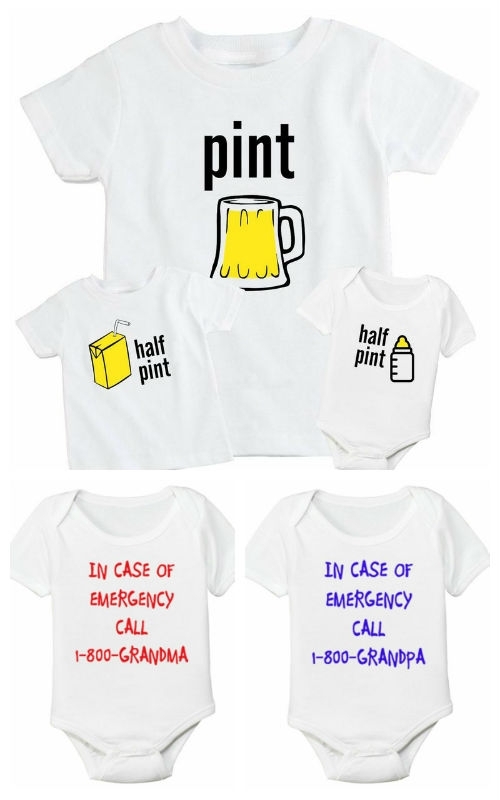 The winner of this prize will receive a matching adult and toddler shirt or baby bodysuit (winner chooses either the toddler tee or baby romper) and both the grandma and grandpa bodysuit. This contest ended at 10AM on Monday, September 08.